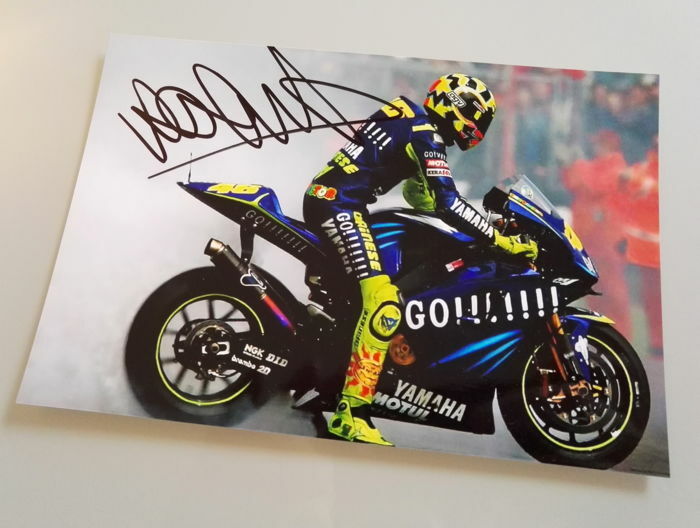 Photograph 18 x 12 cm autographed by the nine-time world champion Valentino Rossi. 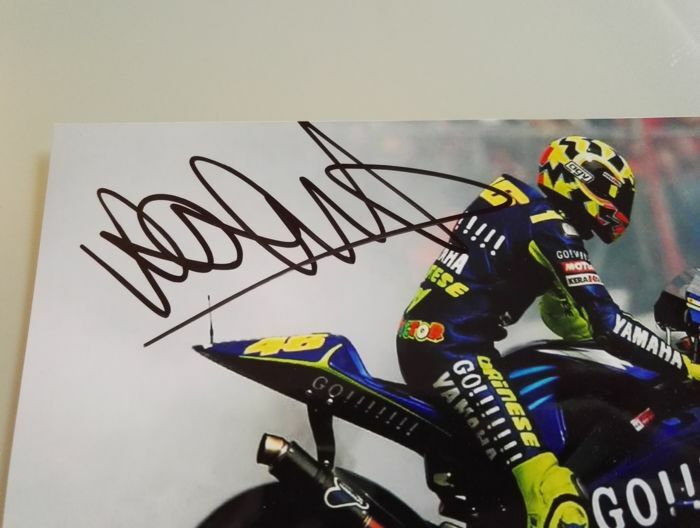 The autograph was done by the Italian rider in the ranch of Tavullia, where he trains. 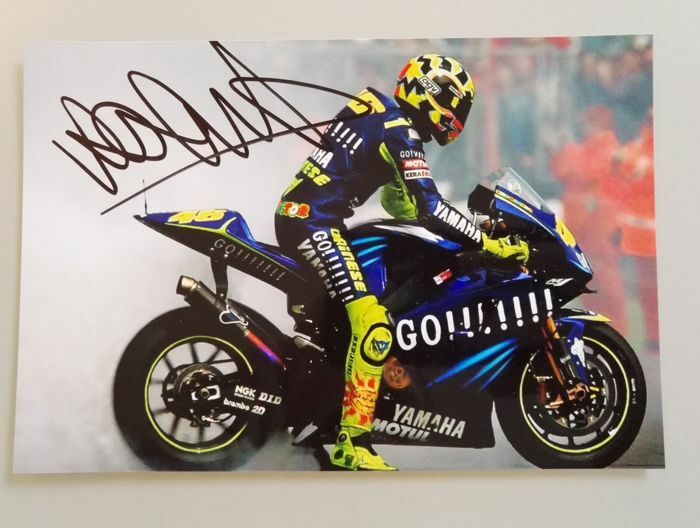 The picture depicts Valentino with the Yamaha M1 of 2004, when he won his first MotoGP world championship with the Yamaha team. 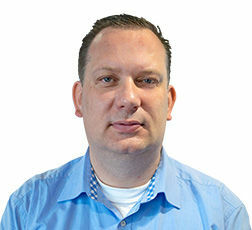 The photo is printed on Fujifilm professional paper and is in very good condition. 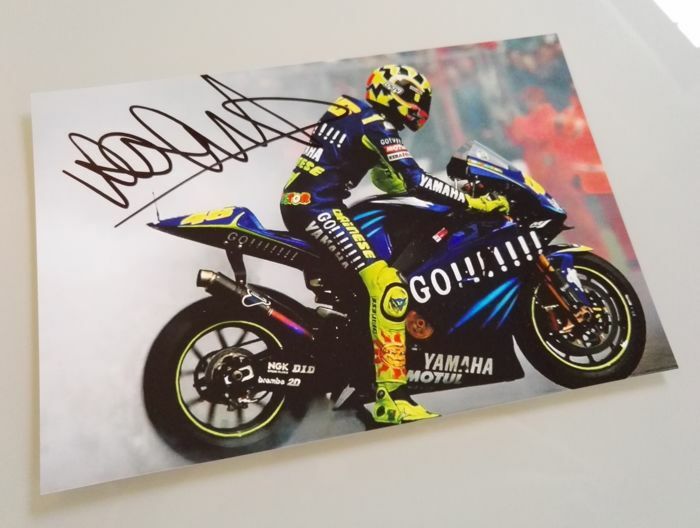 The autograph was signed with black marker pen. Carefully shipped worldwide. Trackable shipping. Venditore molto disponibile ed efficente!